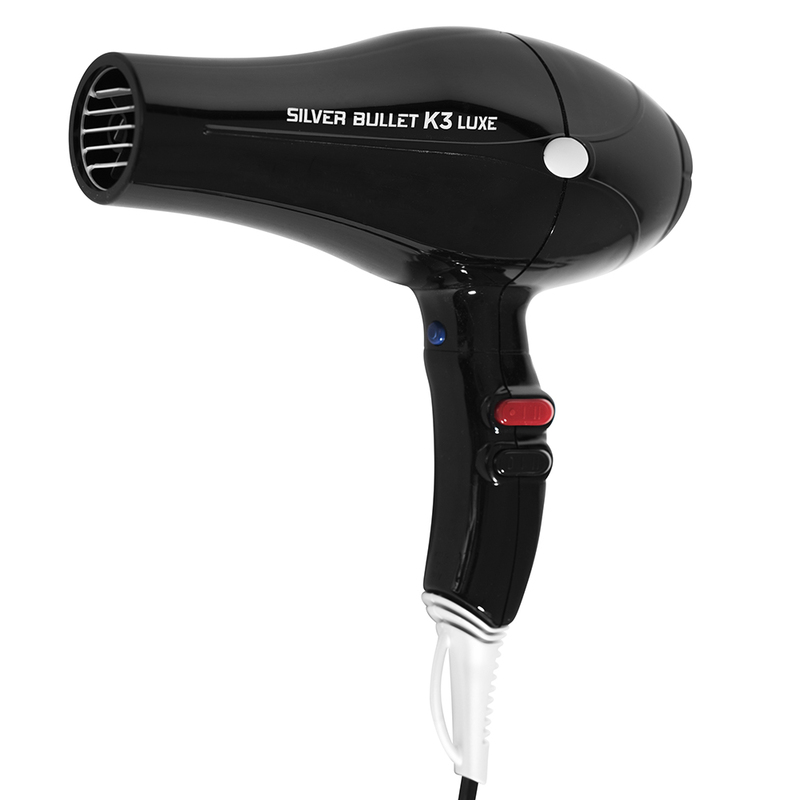 With a whopping 50 month warranty, Silver Bullet K3 Luxe Brushless Motor Hair Dryer is the amazing durability and dependability you crave in a hair dryer. 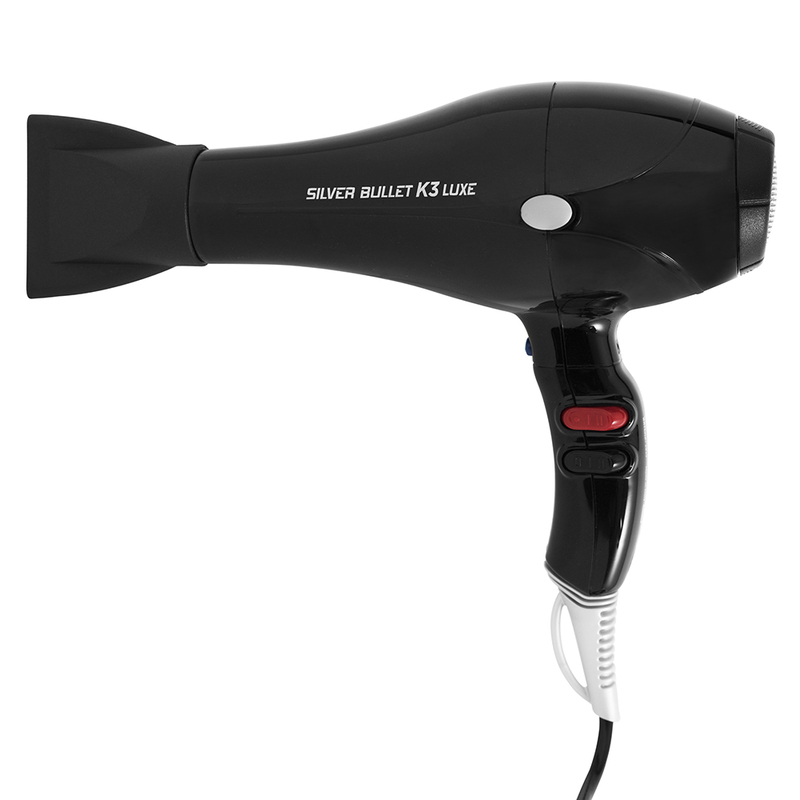 Traditionally, professional hair dryers utilise motors with carbon brushes. With wear and tear, carbon brushes fail over time and, subsequently, so does the motor. 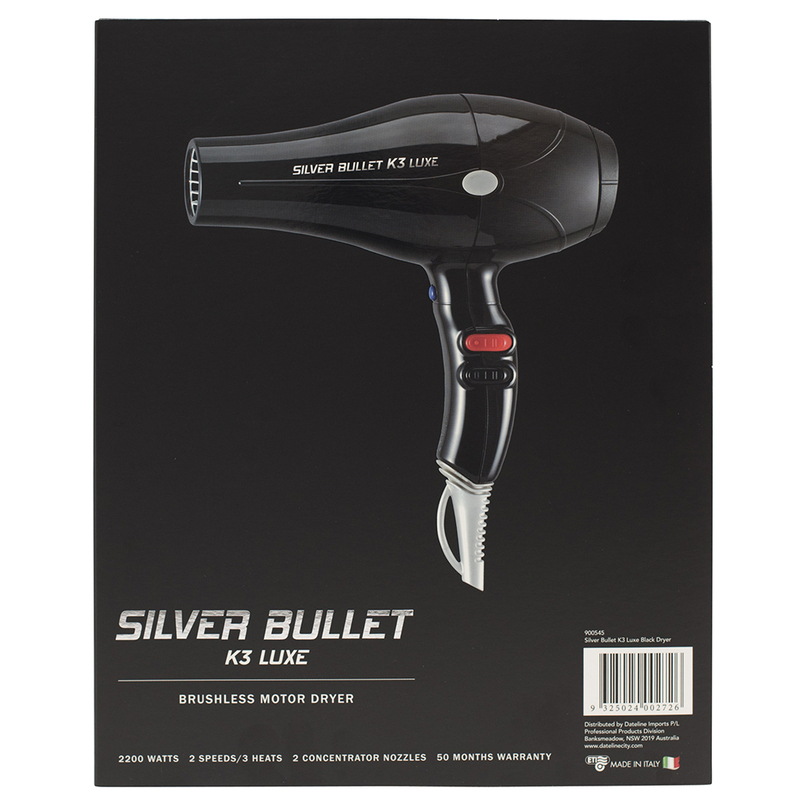 That’s where the Silver Bullet K3 Luxe saves the day! For optimal results shampoo, apply conditioner and then rinse hair. Detangle and dry. Dry hair using a radial brush and, if preferred, the concentrator nozzle supplied with the dryer. Dry one section of the hair at a time by winding hair gently around, or partially around the radial brush. 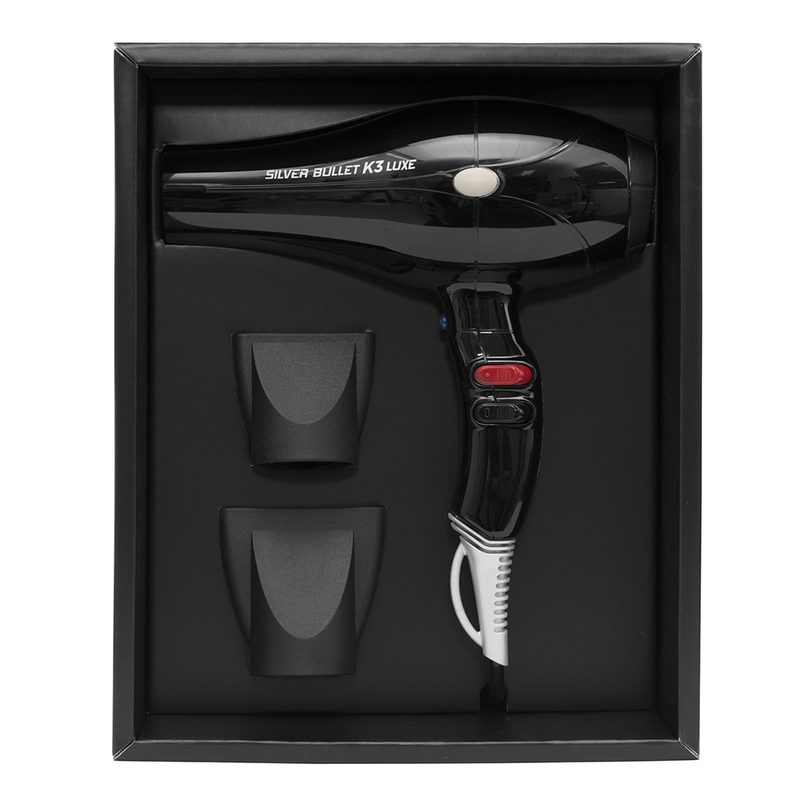 Whilst letting the hair glide over the brush, apply air from the dryer at the required temperature. Repeat until hair is dry and desired style is achieved. 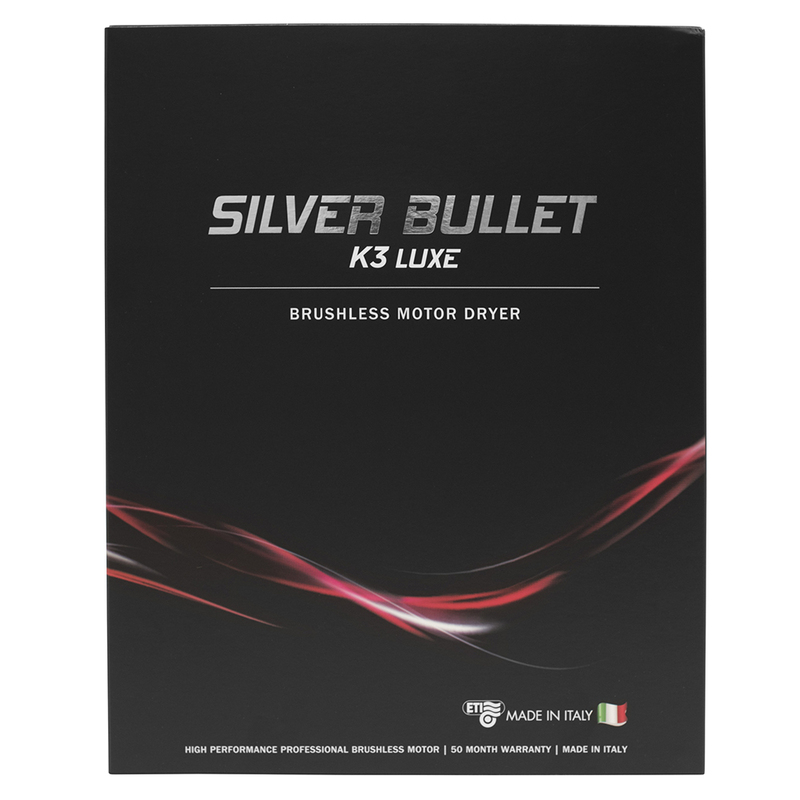 Have a question about the Silver Bullet K3 Luxe Brushless Motor Hair Dryer? Contact us directly via 1800 251 215 or visit our Contact or FAQs pages.